Red wine from El Bierzo made from Mencía and aged for 4 months on its lees. Red wine from El Bierzo, varietal Mencía partially aged for 3 months in French wooden vats. 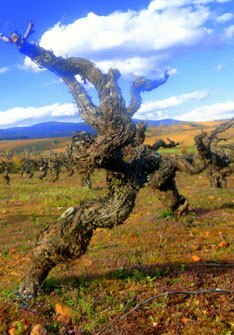 Red wine from El Bierzo made from old-vines Mencía and aged for 12 months in French oak barrels. White wine from El Bierzo made from Godello and Doña Blanca and aged for 5 months on its lees. Red wine from El Bierzo made from Mencía and a small percentage of white grapes aged for 10 months in French oak barrels.